I featured this home back in 2017, but have added some new photos and thought alot of my new followers would love to see it, and maybe the rest of you would want to revisit it. It’s one of my favorite homes I’ve had the privilege to see with a homeowner I’ve gotten to know as a friend. The Nashville home I’m sharing with you this time is a showstopper. And the homeowner did her own interiors! She’s got the touch. 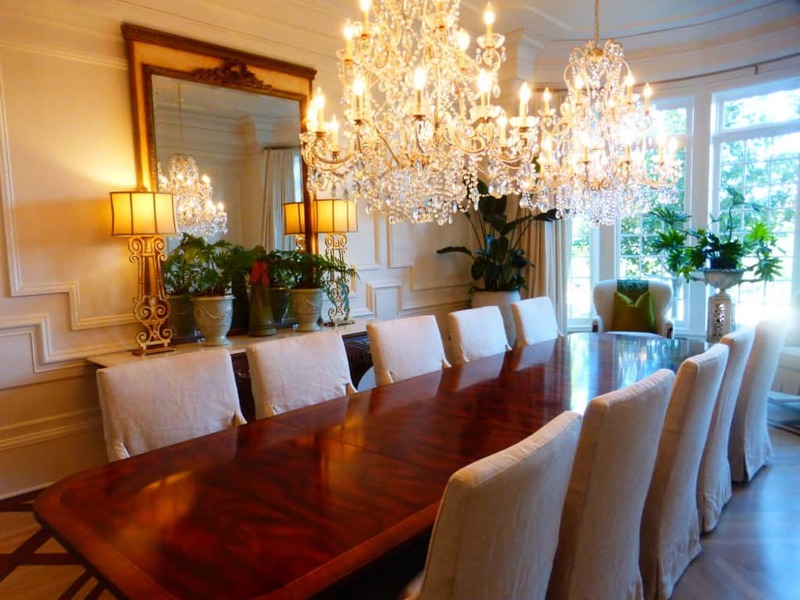 When the family purchased the home, it had a much more formal feel. 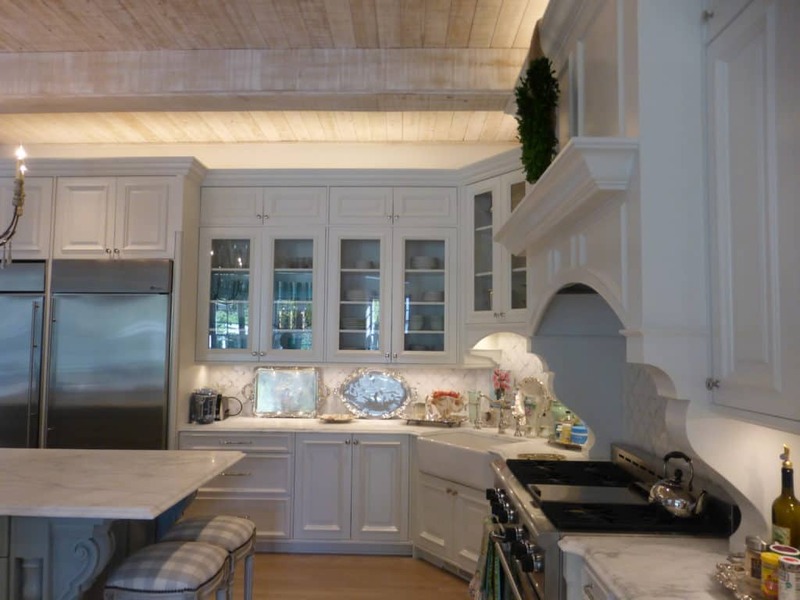 They wanted to bring a casual yet sophisticated and airy style to the home which they did by moving some walls, changing paint colors, lighting, counter tops and tile, and their french furnishings inspired by family roots. They also refinished all the wood floors. 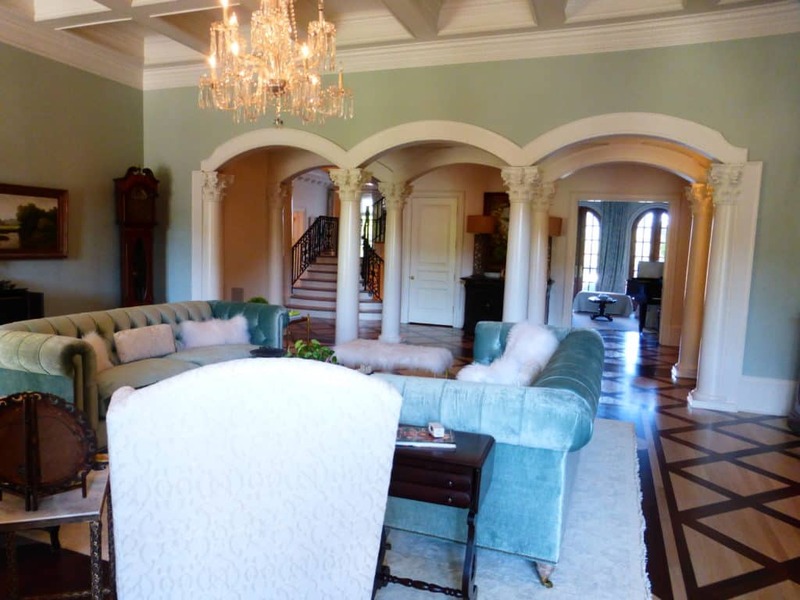 Most of the walls are painted with Benjamin Moore Cloud Cover. It doesn’t hurt that the house has incredible bones. 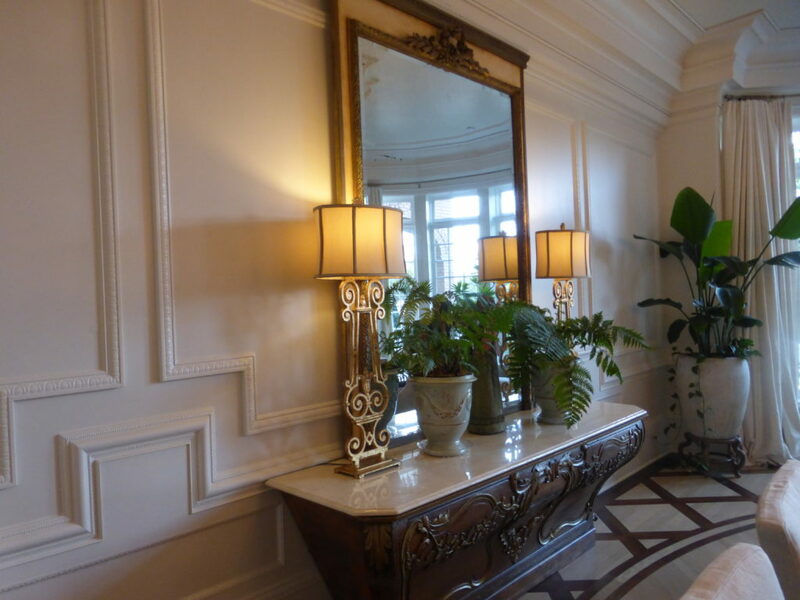 The millwork is gorgeous throughout. It was done by Vintage Millworks in Nashville. The keeping room off the kitchen is just one example of that. 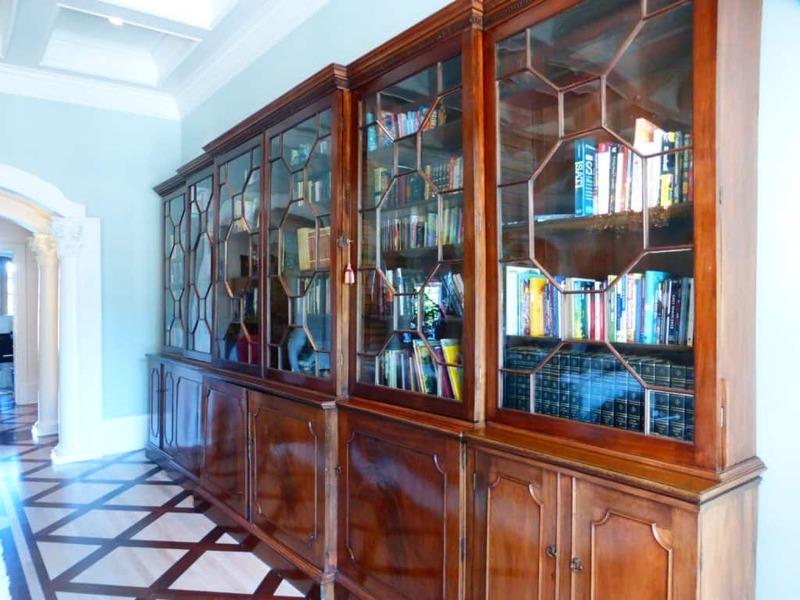 Another example of the exquisite millwork is on display in the dining room which also features a very long table they acquired from the previous homeowners. 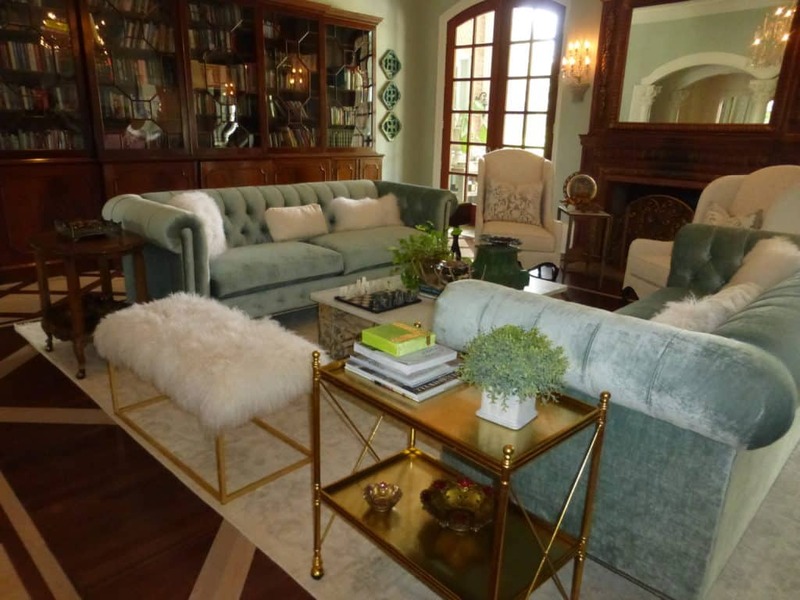 The slipcovered chairs are from Restoration Hardware and the chandeleirs were purchased from Hermitage Lighting and are part of the Ralph Lauren Collection. A very elegant yet comfortable room where you could see spending a long evening around the table in these chairs with the sparkle of the fixtures above. 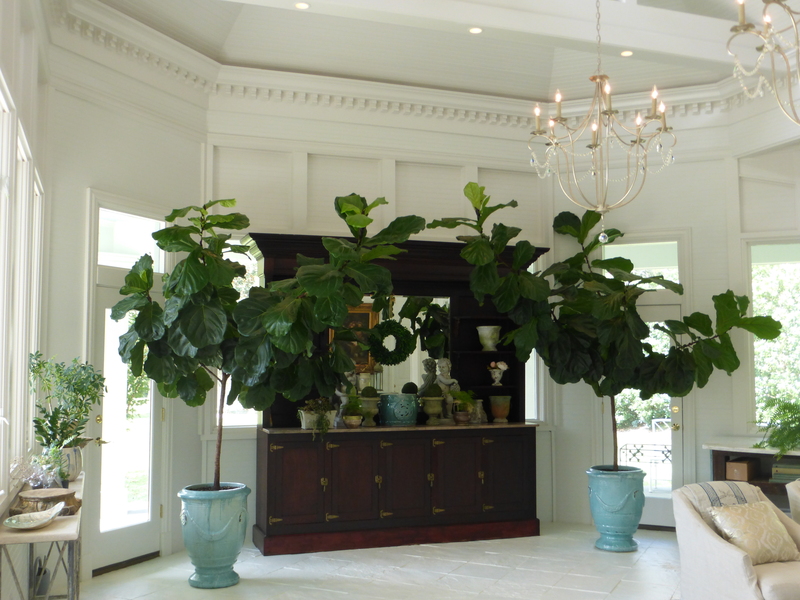 You’ll also notice alot of house plants that appear to thrive in this light filled home. And speaking of light, the sunroom is sumptuous. The previous homeowners called it a conservatory and had outdoor furniture in the space, but the current owners have changed it up with upholstered indoor furnishings and huge fig trees in beautiful blue pots. The chairs, which swivel, are from Restoration Hardware’s Baby collection which I would recommend for any room where you want your family to gather. Rugs throughout the home are from Essie’s Rug Gallery in Franklin at the Factory. 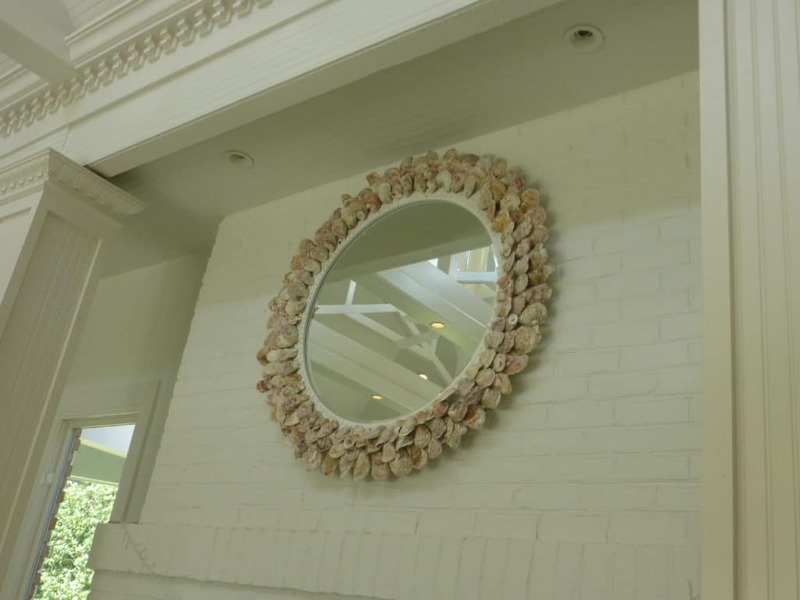 And the shell mirror above the fireplace in this room was designed by the homeowner who collected all the oyster shells and selected the best for this piece. 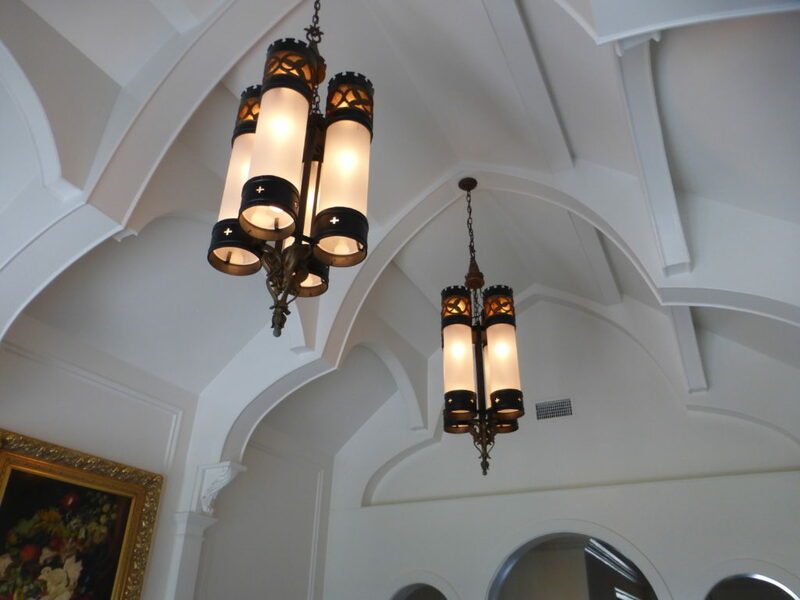 And you can’t help but look up and notice the various ceiling designs throughout the home. Of course the conservatory is no exception. 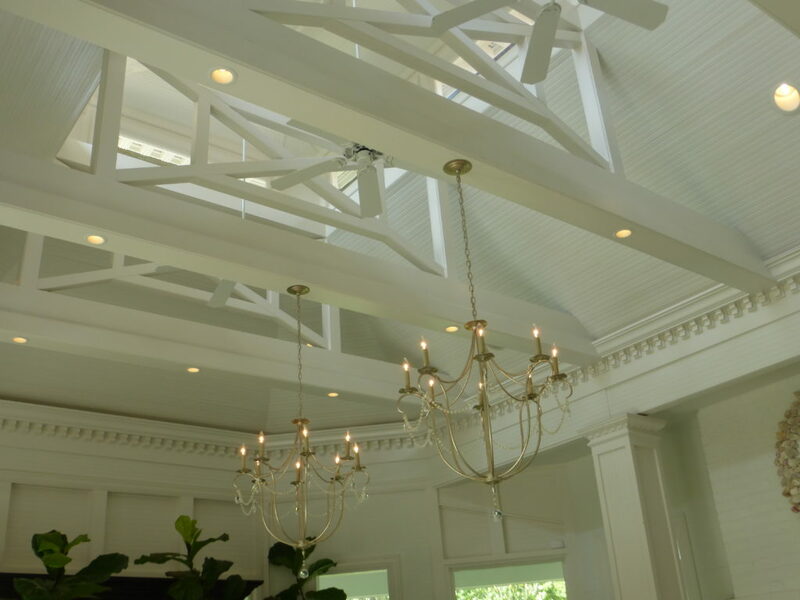 Here’s another jaw dropping ceiling design with amazing light fixures in another part of the house. 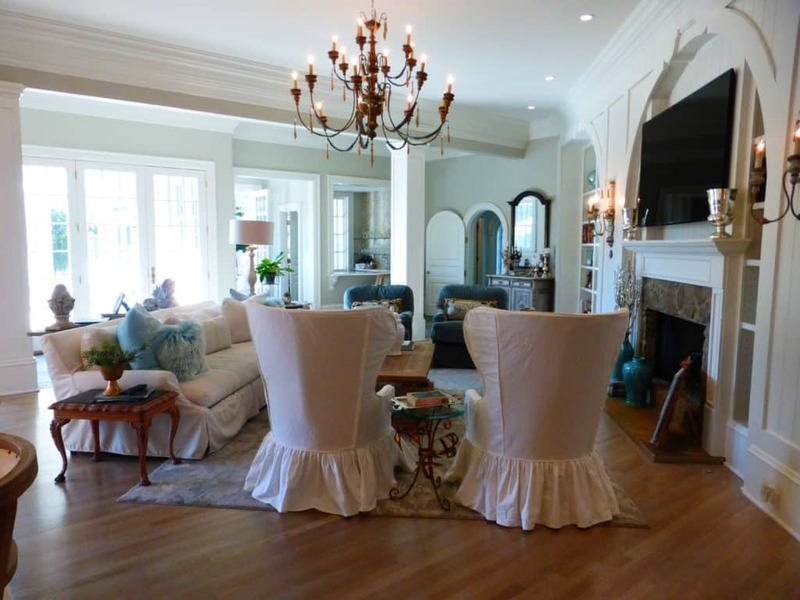 The homeowner is quite talented and has decorated the entire home with what she calls high and low pieces. 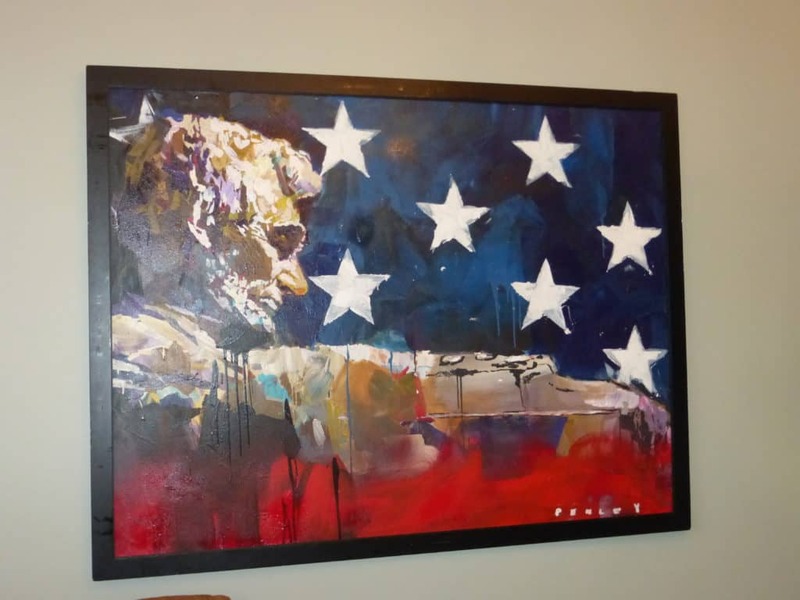 Yes, there are very fine antiques and lovely art in the home, but you’ll also find accents that are “deals” she’s had fun finding that add a layer of interest to the home. 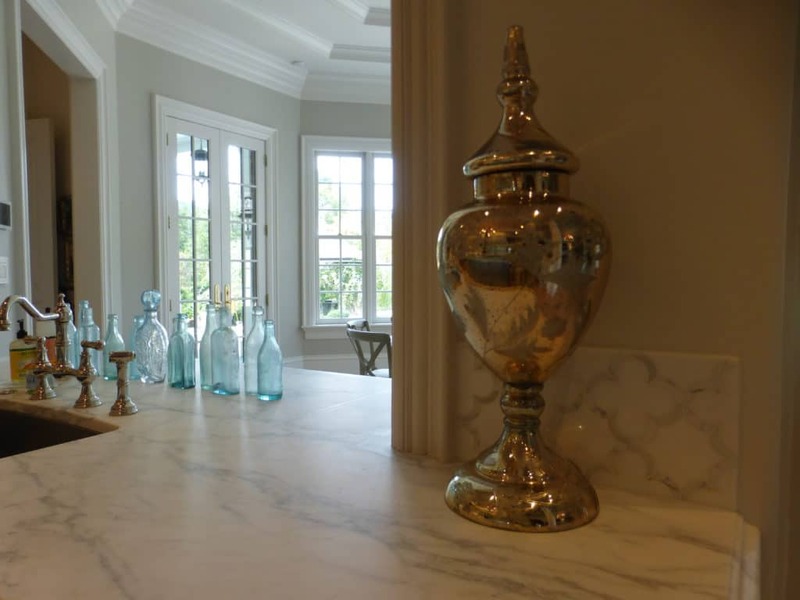 The mercury glass piece in the kitchen is just one example. 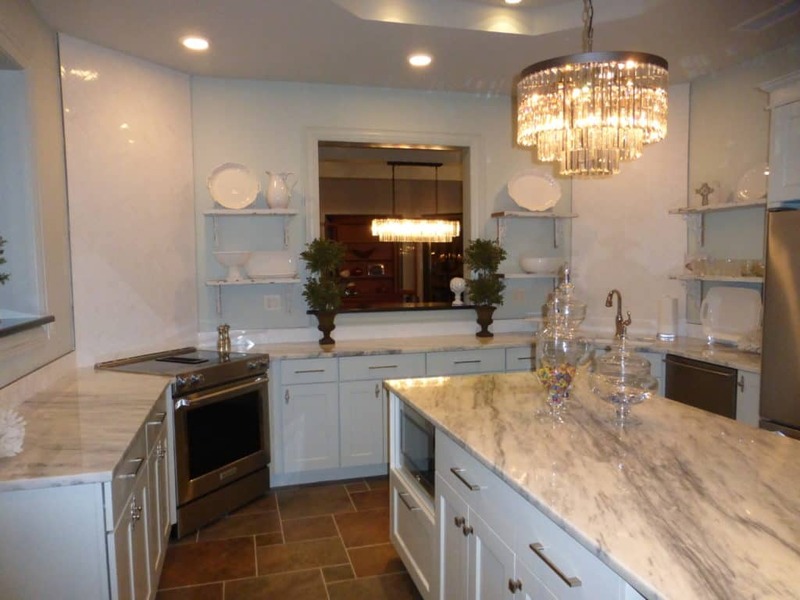 The kitchen counters and all the marble and tile backsplashes are from Renaissance Tile in Nashville. And cabinets were designed by McGill Company. 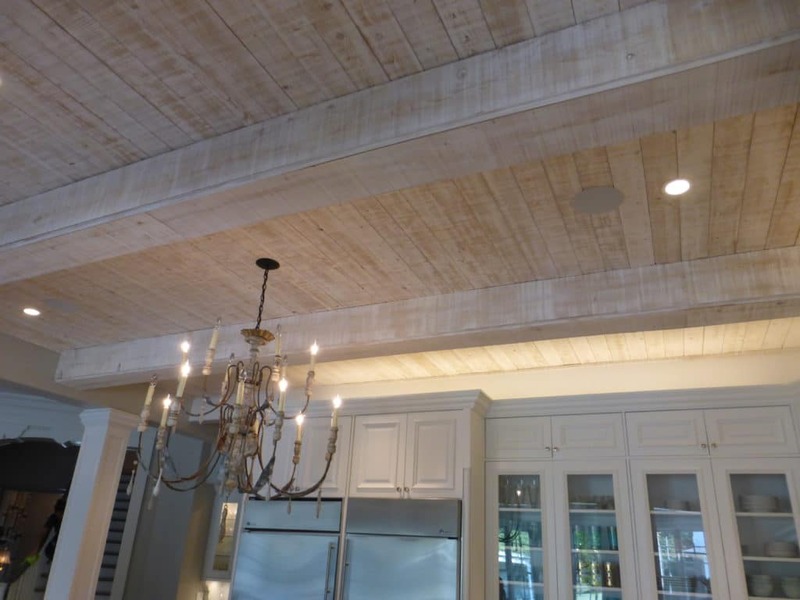 The kitchen ceiling is cypress with a lime wash that was rubbed off to give it the warm patina you see. 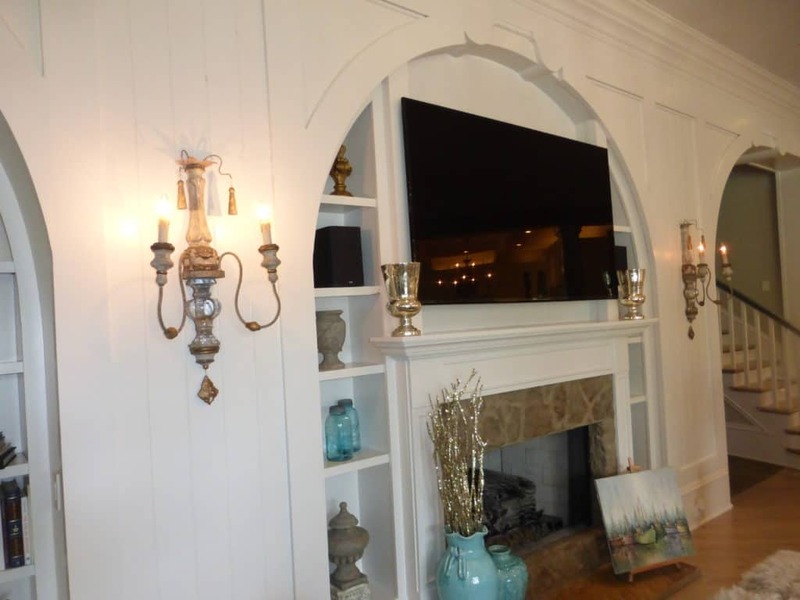 The family wanted to “introduce a natural element to the home, and a simplicity, but still keep it interesting.” The light fixture was one they brought with them from their previous home. 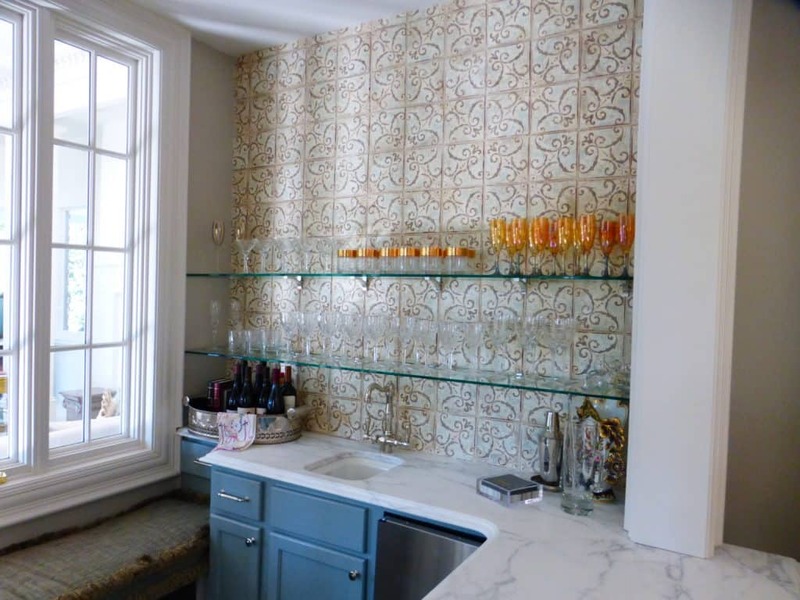 More of the good looking tile is featured on a wall in the bar off the keeping room. 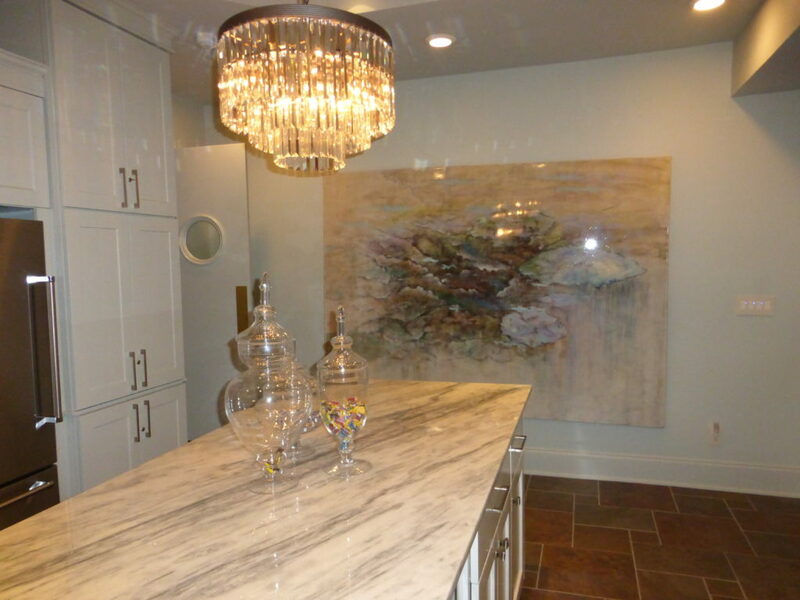 Her choice of paint colors on the base cabinets is so soothing too and that color is seen throughout the home. It’s Intrigue by Benjamin Moore. In the formal living room, she continues her use of blue with two velvet couches purchased from the Anthropologie home line. There’s a bench with Tibetan sheep fur that comes from the Iron Gate in Franklin. The room also has a stunning piece that has to be mentioned. The cabinet fills an entire wall. 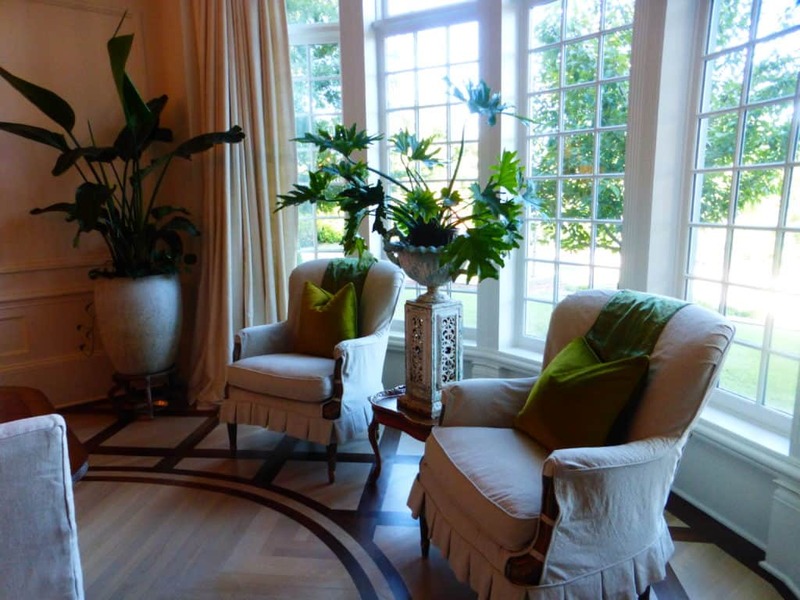 They purchased it from the previous homeowner and it was thought to originally be from Princess Diana’s family home. 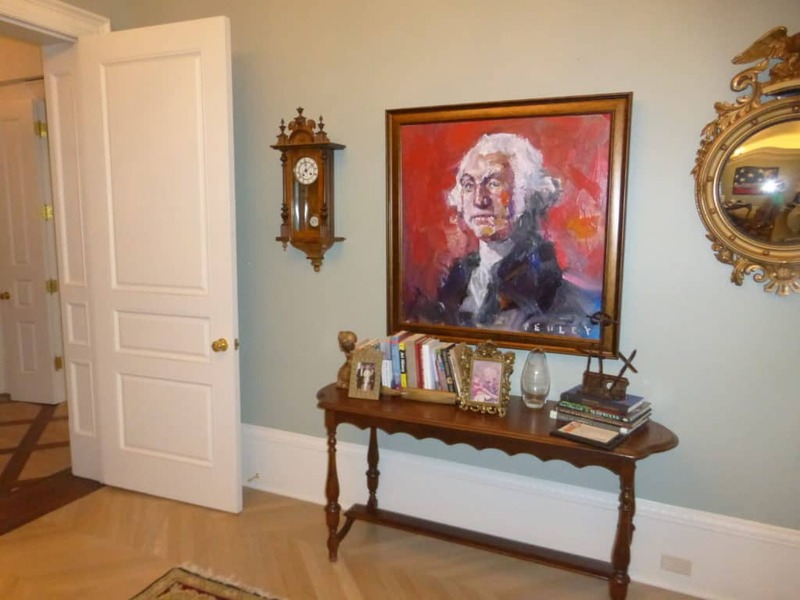 Some history in terms of former presidents is also featured in the home. 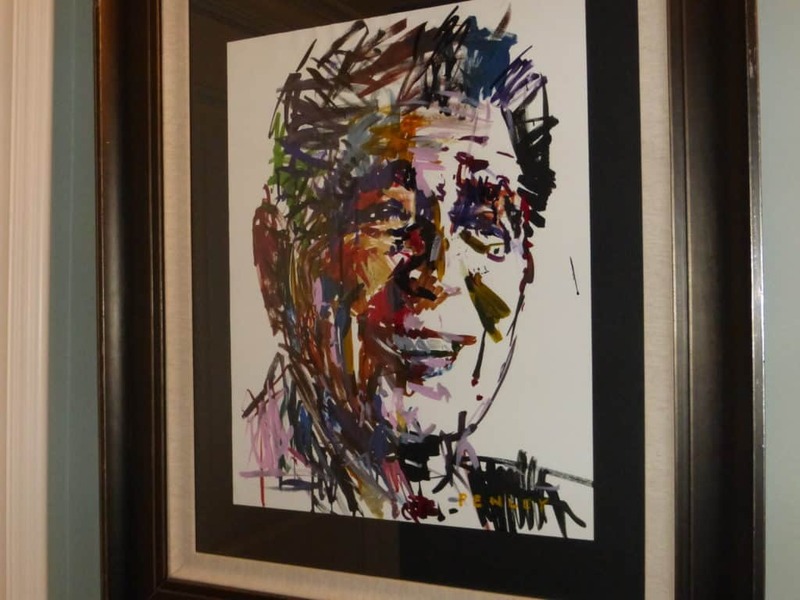 Paintings by well known artist Steve Penley are hanging in a study and on a wall in the home’s breakfast room, along with a pen and ink drawing of former President Ronald Reagan. The master bedroom is another gorgeous retreat with soothing colors. 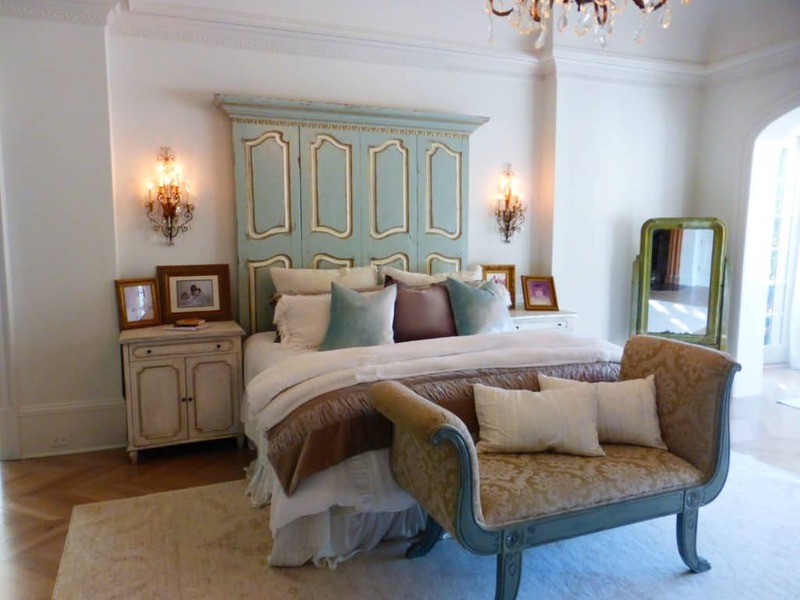 The headboard was made from two matching french armoire doors with crown molding from an old plantation house. The homeowner also painted it. And the bench at the foot of the bed is gorgeous. The bedding is from the Iron Gate in Franklin. Even the basement in the house is decked out with another kitchen that is first floor worthy!!! By the side door is a gallery of their children’s art. Such a warm touch. It’s a sentimental thing and always a reminder of the passing of time and love of family. The home is grand indeed, but still has a sweet spirit. And there’s a little heartbeat constantly at the owner’s feet, itty bitty Levie, the family pet who knows a thing or two about getting comfortable in this gorgeous yet unpretentious home. My thanks to the homeowners for sharing their home with Stylish Retreats. Sources: J. 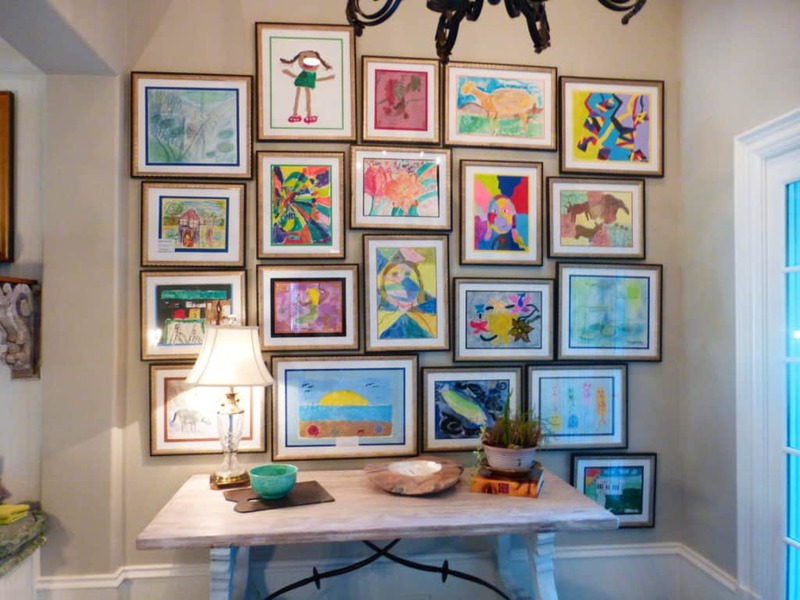 B. Haile Contractor, Vintage Millworks, Essy’s Rug Gallery, McGill Company LLC, Renaissance Tile, Iron Gate, Anthropologie Home, Restoration Hardware, Steve Penley, and Hermitage Lighting. I could be quite happy here – beautiful!! Style, comfort, sentimentality, functionality - all influence our choices in our homes and how we decorate them. I hope to inspire, share clever ideas and find new resources for your own place.